Hurricane Michael is the third-strongest storm in recorded history and overnight it has battered mainland US coming in from north-west Florida, flooding beach towns and snapping trees. 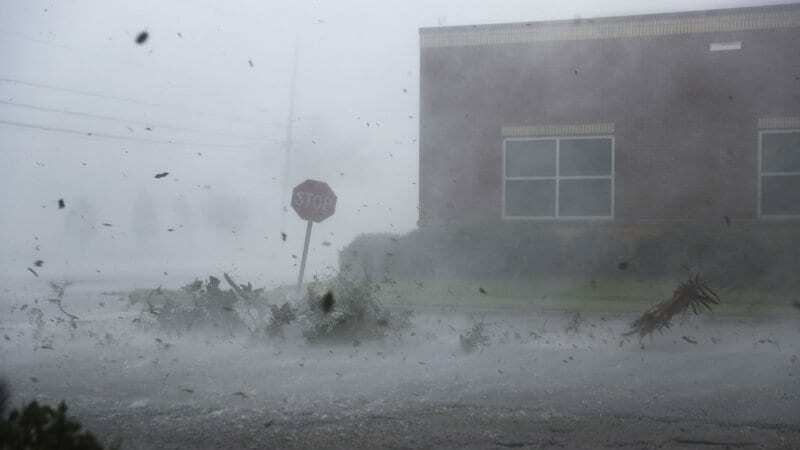 Hurricane Michael hit the coast on Wednesday afternoon as a category four storm with 155mph (250km/h) winds in the state’s Panhandle region. So far the devasting hurricane has led to the deaths of two people, including a child, that were killed by falling trees. Since making landfall as a powerful Category 4 hurricane on Wednesday, Michael has left thousands of people without power, and displaced at least 500,000 people, turning homes into ghost towns and rubble. May God protect all people, animals🐾❤️🐾 and property in the path of #HurricaneMichael. However, the death of a child in Seminole County, demonstrates the devastating impact of the hurricane. As it hit Georgia during the storm, emergency management officials said “preliminary reports indicate the child, who authorities believe was 11-years-old, died when something fell on a home” but authorities have not been able to get to the home yet, said Travis Brooks, the county’s emergency management director. The tropical storm slowed down but is now speeding across southwestern Georgia as it makes its way northeast and off into the Atlantic. Michael is expected to bring more carnage and devastation for the residents of Florida, bringing tornadoes, rainfall and “unprecedented wind damage” along with its path, as so far nine Florida counties have introduced curfews.